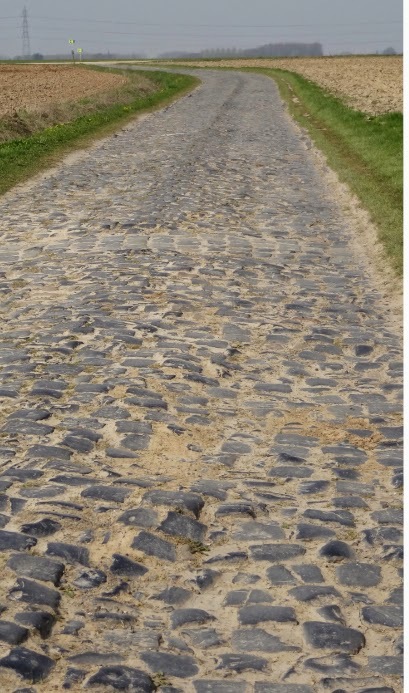 What is it about a simple photo of cobbles that gets everyone so excited? 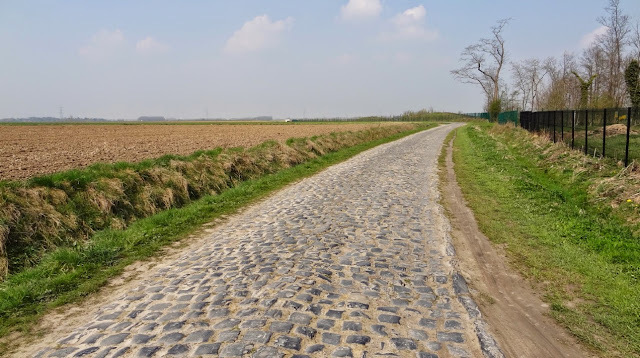 A photograph of stones, that is all it is, and yet we all know it is so much more. 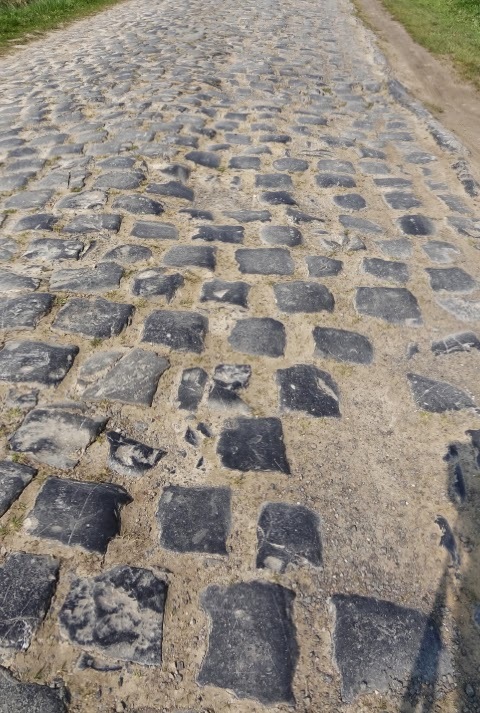 The other day Team Garmin-Sharp shared a simple photo of an alpenglo version of cobbles, softly lite in the setting sun. The next thing you know, they announced they made it available as a wallpaper. 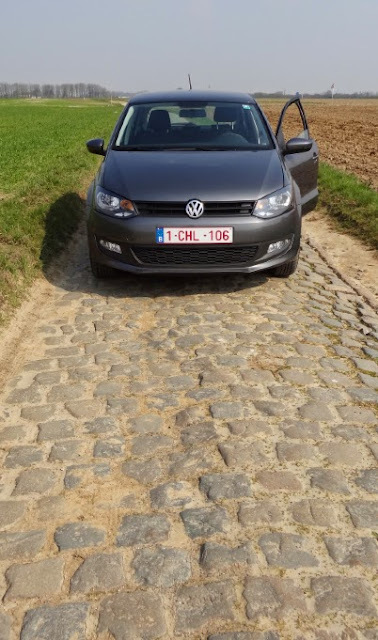 Wow, people must really like cobbles. 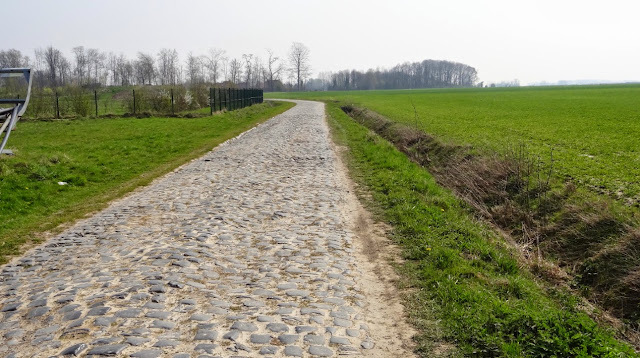 Then I remembered I was out on a miniscule road in France searching for a famous section of cobbles in 2012 called Carrefour de l'Abre. I had spent the previous day visitng a war museum, walking the grounds of Tyne Cot War cemetery, driving down the Menin Road and under the Menin Gate, visiting the city of Leper /Ypres. 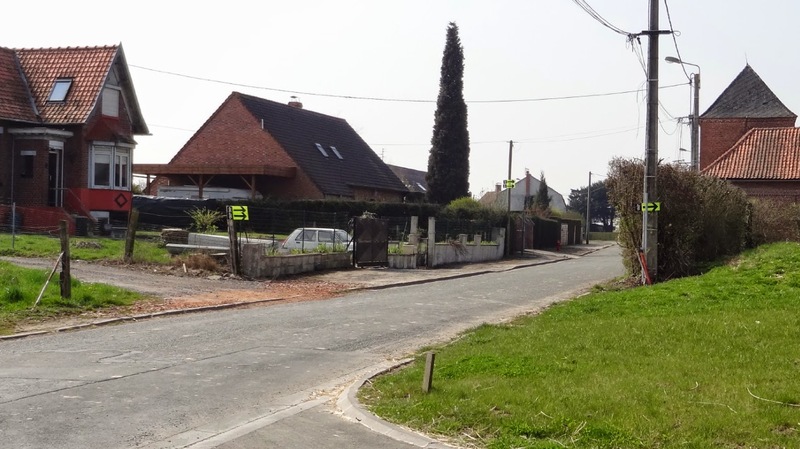 This year the Correfour de l'Abre is only 17km from the finish line, so a flat on this section of cobble #4 (4th to the end) would be bad news for a leader. 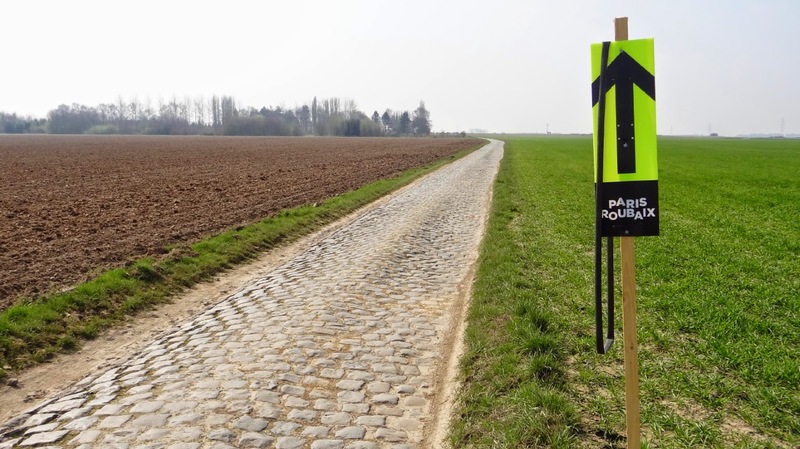 This is the infamous Le Carrefour de l’Arbre section of pave. 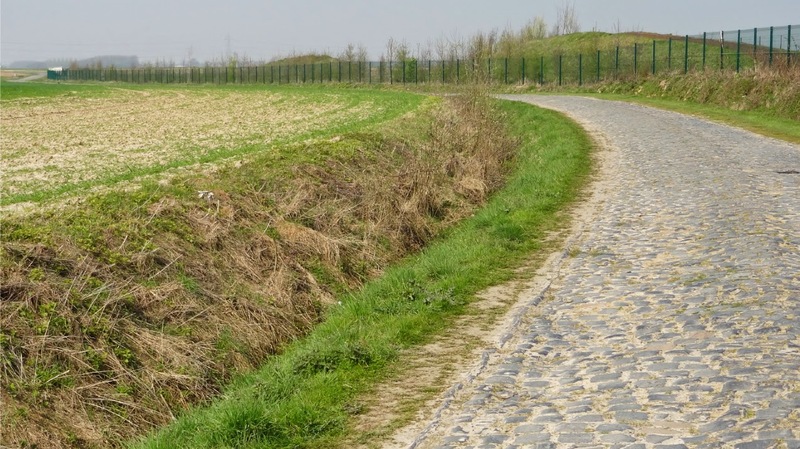 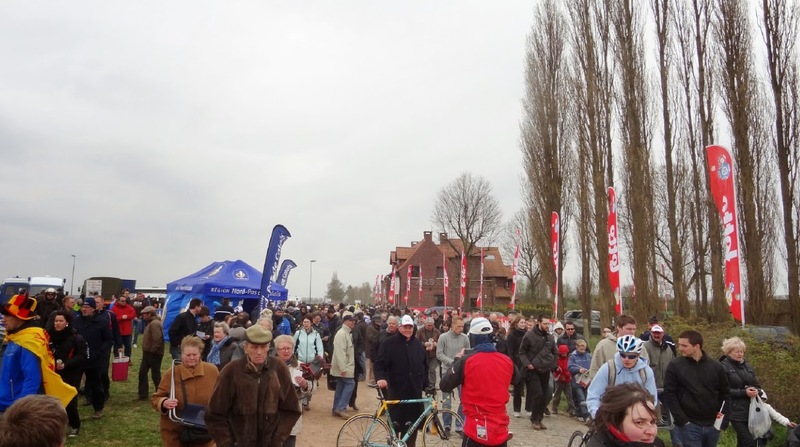 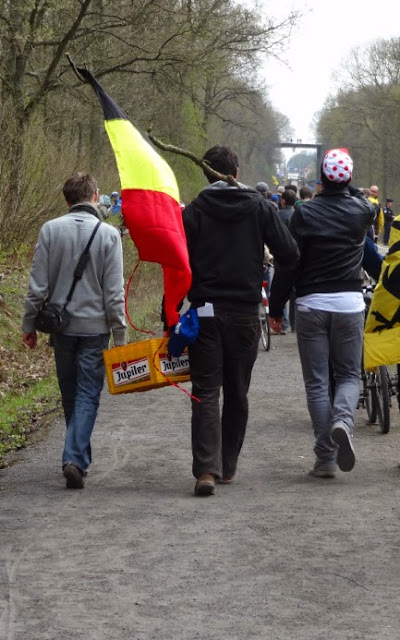 Read my piece on the Arenberg Forest from 2012 - I was a fan at the Paris-Roubaix. 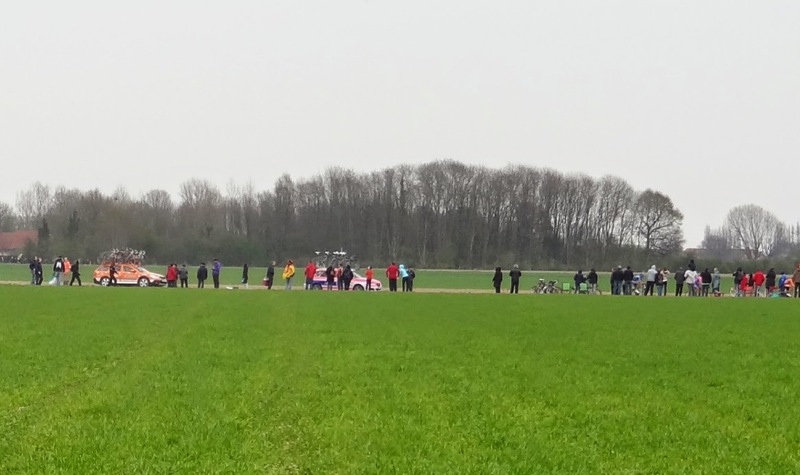 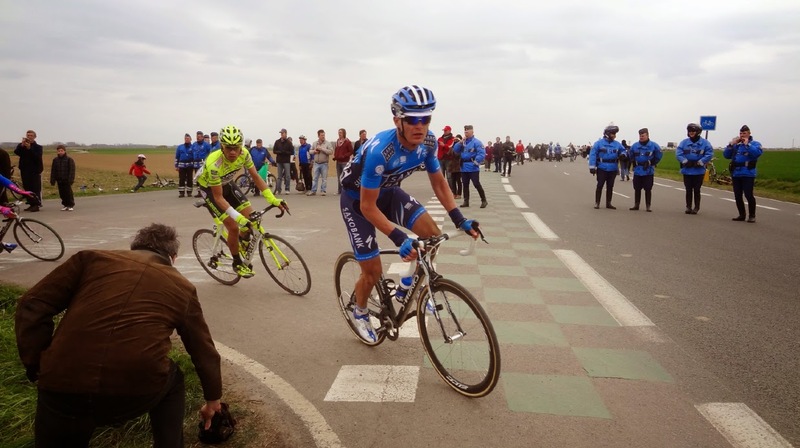 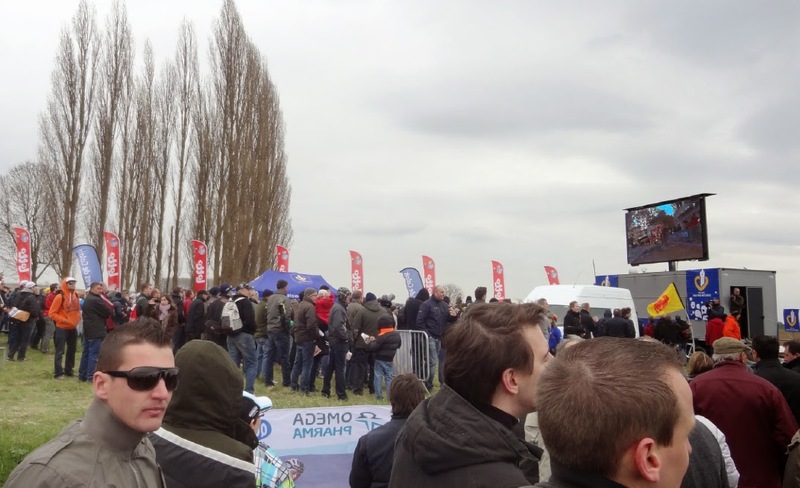 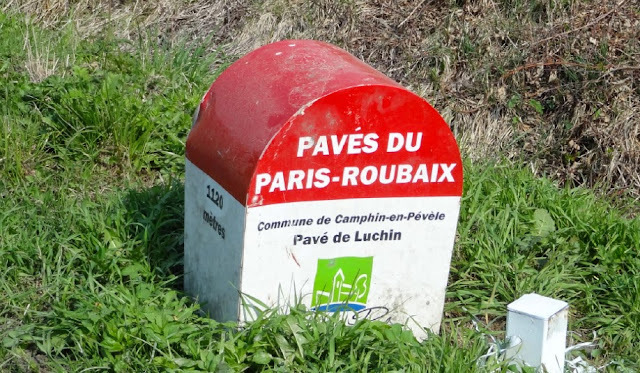 My post on the 2014 Paris-Roubaix. 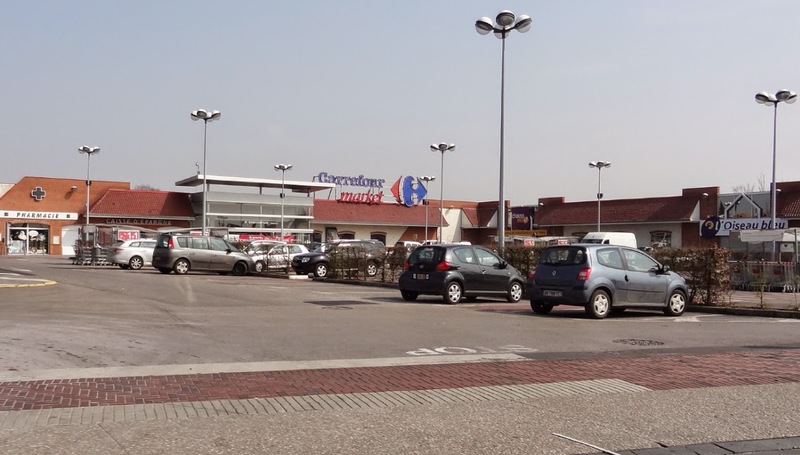 The French word carrefour translates to crossroads in English. 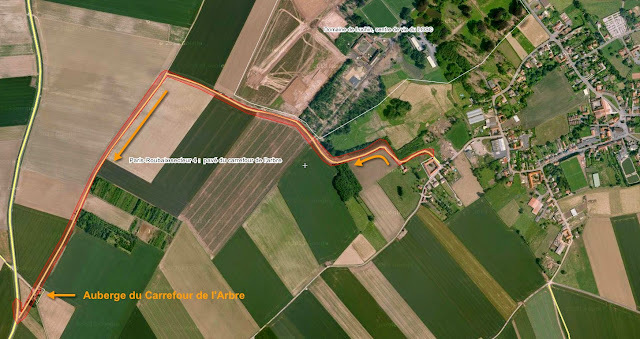 I found Le Carrefour de l'Abre! 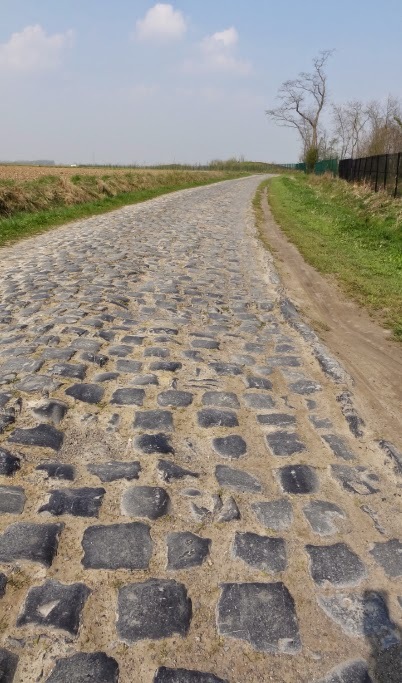 How many riders out of 200 will be left still in the race at this point, I wonder? This should make it clear why riders prefer to ride in the dirt gutter if possible. 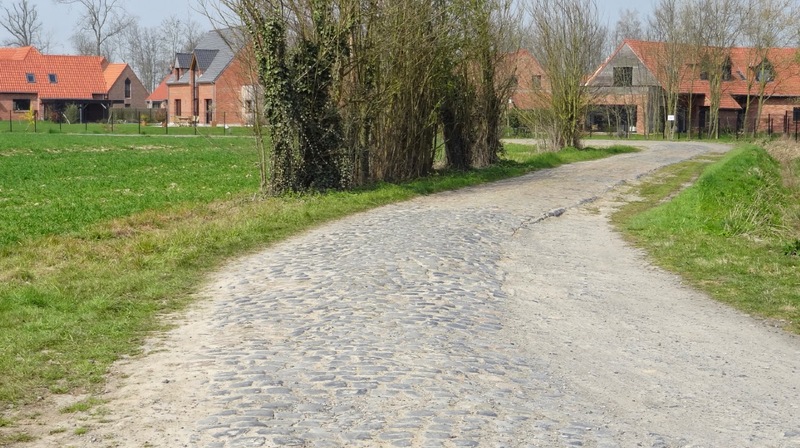 Why take photos of perfect cobblestones in a row when in fact they look like this! 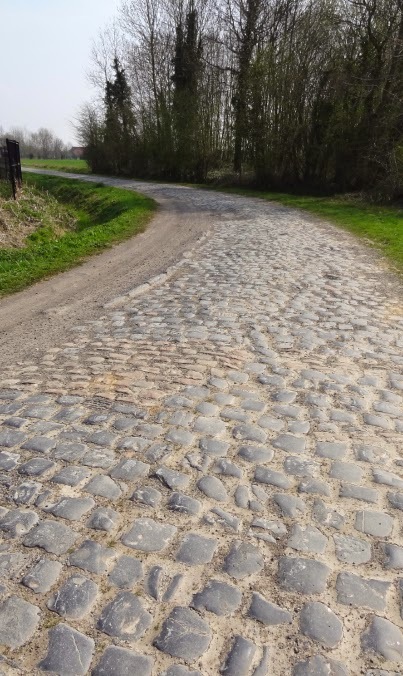 Now this is a corner! 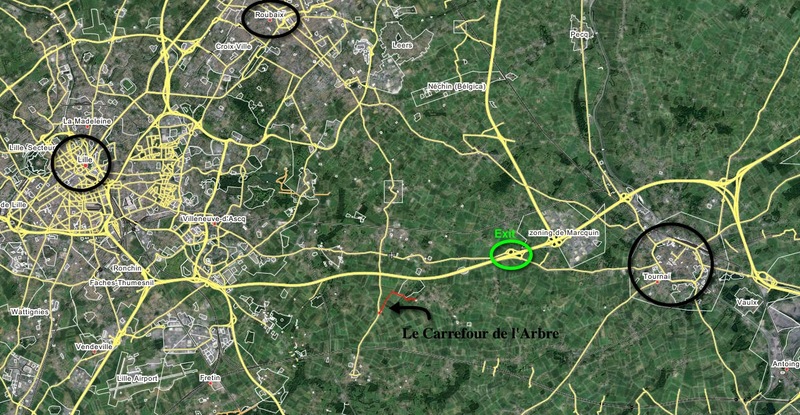 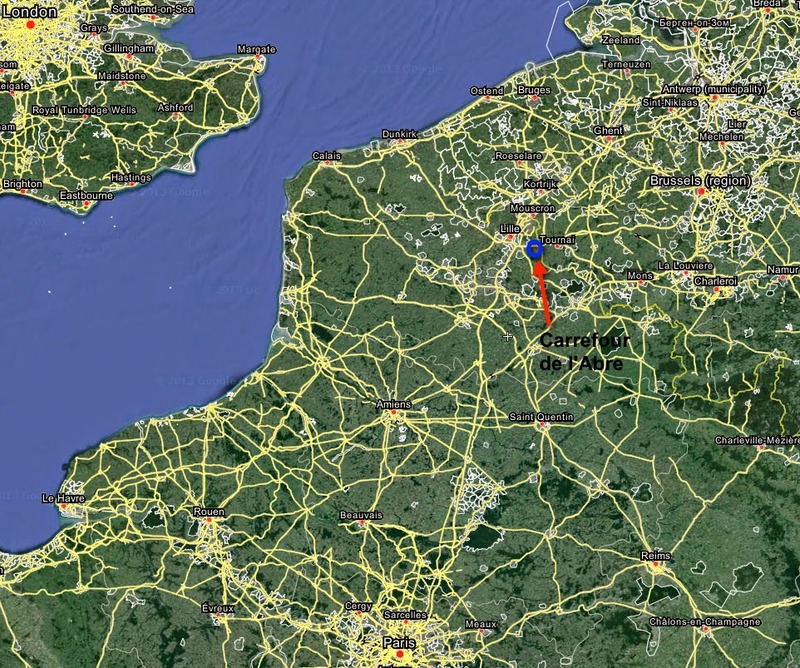 How wide is the Carrefour de l'Abre? 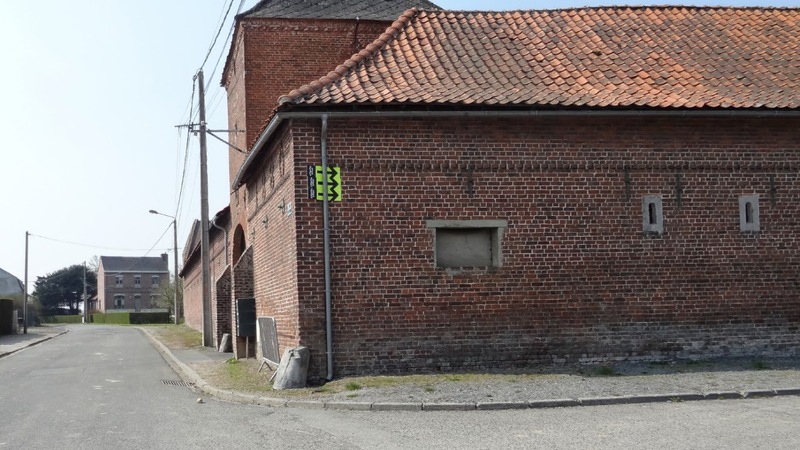 Not very. 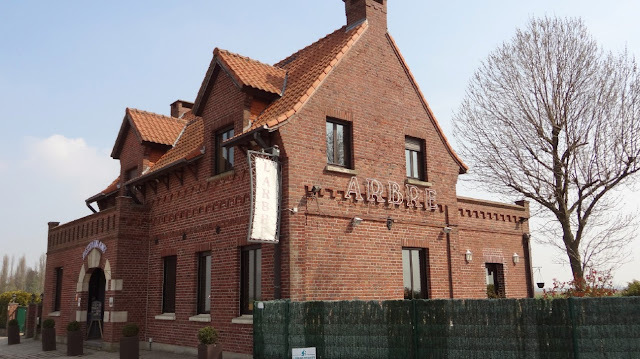 After 2100 meters L'Abre restaurant finally appears ahead, marking the end. 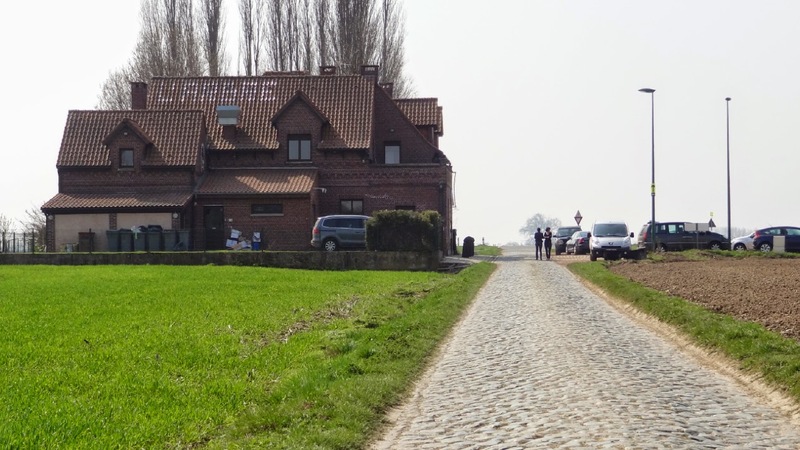 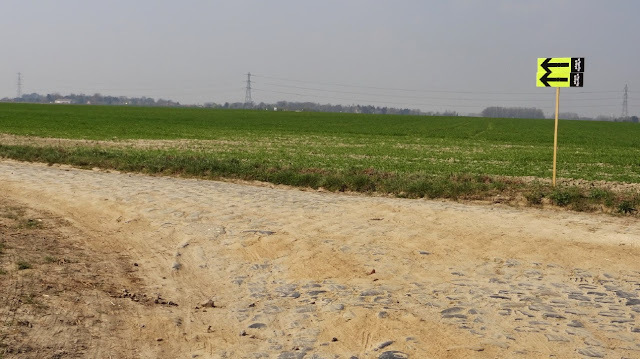 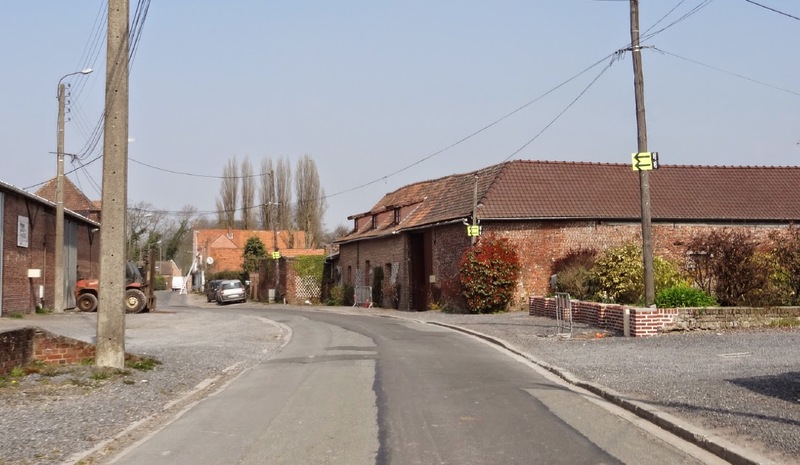 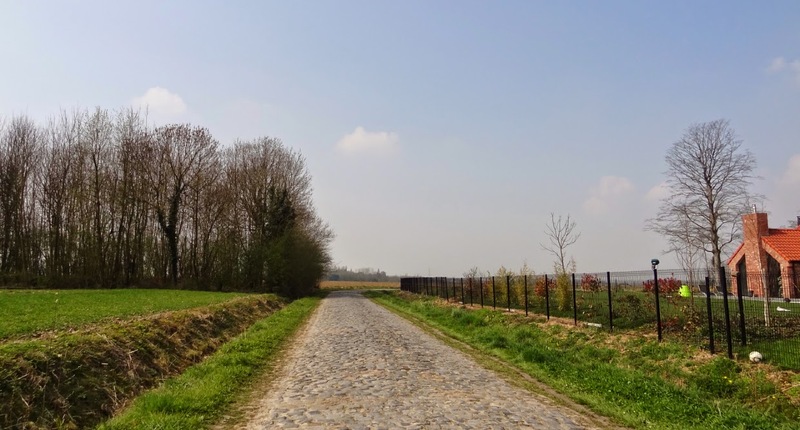 After this journey onto the pavé of the Paris-Roubaix, I was so inspired, I returned to the town of Kerkhove in Belgium and rented a bike at a nearby bike shop. I rode up the Koppenberg and Kwaremont on that rental bike. 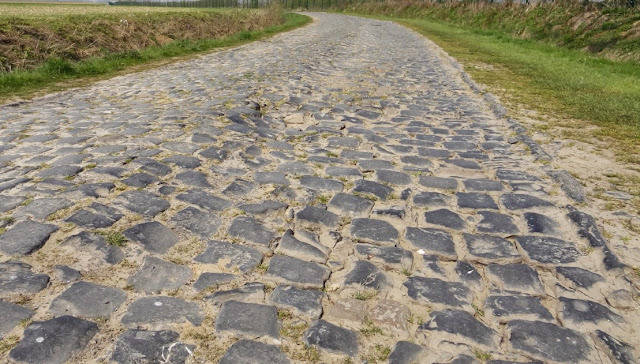 It was a great day on the cobbles. 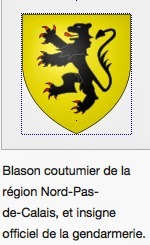 Le blason de l'ancien comté de Flandre est parfois utilisé pour représenter de manière officieuse le Nord-Pas-de-Calais (The coat of arms of the former County of Flanders is sometimes used informally to represent the Nord-Pas-de-Calais).